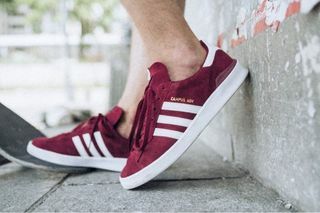 Key Features: Double layer suede construction with high-abrasion zones and cold-pressed eye-stays, padded collar, flexible Bounce midsole cushioning for impact absorption and flexibility, “Geoflex” herringbone sole providing superior grip, molded EVA sockliner, and classic Three Stripe motif over the side panels. 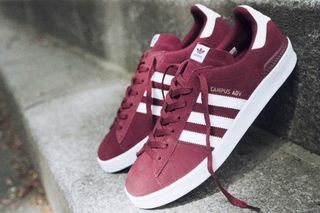 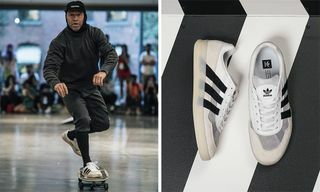 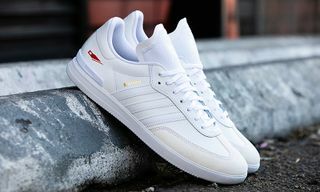 Editor’s Notes: Following the release of Brian Lotti’s exclusive adidas Originals Campus 80s, the classic sneaker has been elevated for true skate performance with this new style dubbed the Campus ADV. 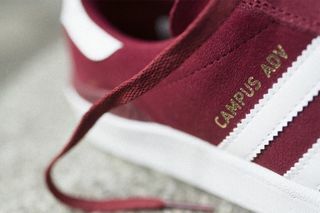 Retaining it timeless aesthetic, the model has been updated with the aforementioned key details noted above. 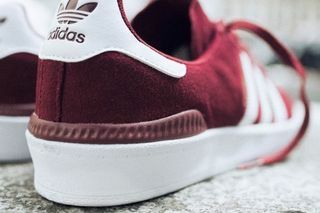 Highlighted in a “Collegiate Burgundy” colorway, and modeled by skateboarder and entrepreneur Blondey McCoy, you can cop this style at adidas retailers beginning next weekend. 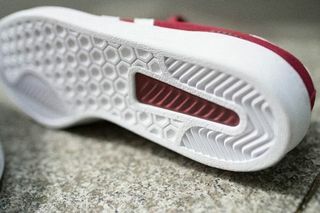 Up next, here’s an official look at the BAPE x adidas Ultra Boost.